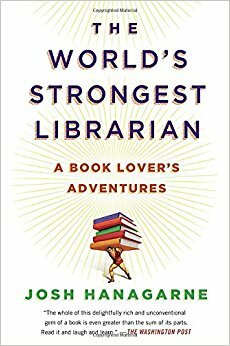 Just finished Josh Hanagarne’s The World’s Strongest Librarian. I picked it from the Library more for it’s title than it’s content. But I should say the content is way more stronger than the title. Hats Off to Josh for writing such an honest memoir and taking people like me into many worlds that I had very less knowledge of. The book’s subtitle says ‘A Book Lover’s Adventures’. But it is not just about a Book Lover, but also about someone who was diagnosed with Tourette Syndrome and stands at a towering 6’7”. 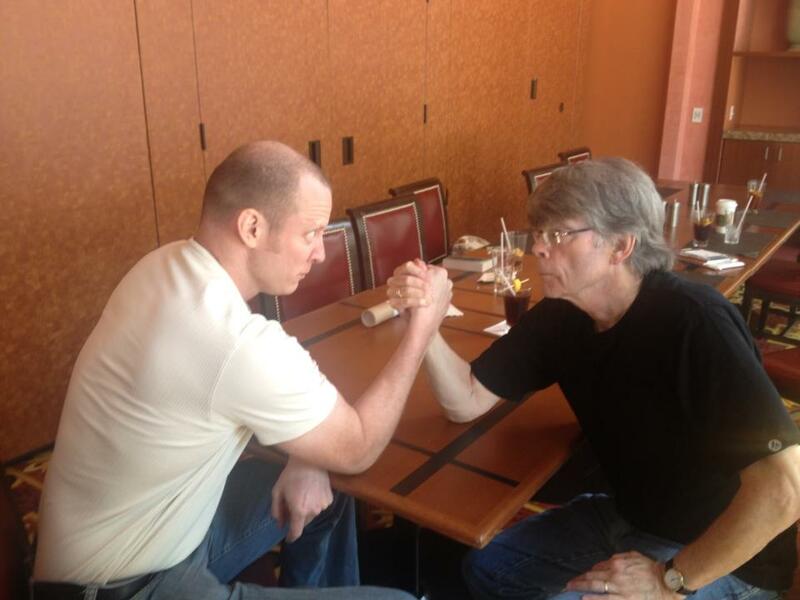 He also can Bench Press 350 Pounds and runs a blog http://worldsstrongestlibrarian.com for anyone looking to get stronger, healthier, smarter, and talk about books. It does not end there, he was also raised a Mormon. Before I read the book I did not know much about Mormons, may be because as a Godless and religionless (read Human) being I did not really try knowing more about that side of the belief system. I definitely did not know much about Tourette Syndrome. And to be honest, I did not always connect Books and Librarian with Physical Strength. Josh with his book took me through every aspect of life. His fight with Tourette Syndrome, the Mormon Way of life and belief system and a passion for books that gets out of book and comes and sits next to you. It also took me through the life of a person who always had to walk, swim and push the weights against the tide. Not once but in many different fronts. No it is not just about moving ahead in life with Tourette’s, but it is also about a Mormon Kid who starts questioning the faith, but even within that wavering faith, he is able to navigate through life because everything he loves so dear, his family is part of the faith. Not believing in God and saying that in open was never a problem for me probably because of how I was brought up, but you can imagine the dilemma of a Mormon kid who starts questioning his faith. especially everyone he loves in his life is connected with Faith. What impresses me is how he and his family were able to understand that belief and lack of belief can coexist in the pure form of ‘love of acceptance’. The truth that when there is a choice to believe there is also a choice to not believe. It is also a call to many non believers including me to accept the love and convictions of the other side of belief as a choice coming from another thinking person. What makes the book even more remarkable for me is the way Josh takes you through a lot of things in one book; His love, His life, His Family, His Kid Max, His insane love for Stephen King and Mark Twain and his nerve wrenching combat with Tourette’s and his commitment to Strength Training and all through it taking us through his dilemma with Faith in a community where human life (at least till now I thought) could never exist without Faith at its center. Josh comes out as not just strong physically but very strong mentally. I don’t say that because of his love for books or his voracious reading and knowledge, but through his outlook to life and the compassion that he brings out for his fellow human beings. I would recommend this as a must read for everyone. I also thank Josh for taking me through a glimpse of his amazing life and lovely family and friends. This is also part of my 50 books in 2017 challenge.